Most marketers are well aware of the different elements of a landing page, but they may not know how to structure these parts into a good working order. A strong headline and a secondary header draw in a reader's attention immediately. Clear copy with excellent spelling and grammar builds trust in the page. In addition, calls to action and all buttons should have a good contrast from the background. Marketers should limit links as much as possible. Any media, like photos or videos, should be relevant to the copy or promotion. Formstack recommends designing the page above the fold or in the area visitors can see without scrolling down. 2. 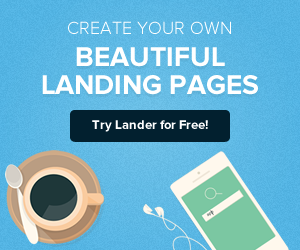 Landing Page Optimization: What You Should Be Testing and Why from Marketing Mojo. 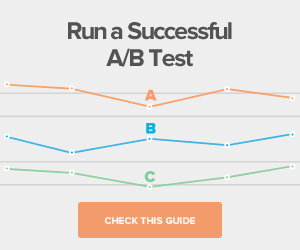 Because A/B testing can be problematic, what kinds of things should you be measuring? You only have a four-second window of opportunity to capture a visitor's attention when he or she arrives on the page. Marketers can significantly boost their conversion rates with testing, and it provides a much more accurate picture of ROI. There are two main kinds of landing page testing: A/B and multivariate. Split testing compares two separate versions of a landing page. Multivariate contrasts different elements of one page, such as headlines, buttons and colors, in separate combinations. The most important page elements to test are headline copy, calls to action, body copy, page layout and any forms that are included. Visual media, page length and button design can make a difference as well. What's in a color? It could be the difference between someone making a purchase or bouncing back to the search engine results page. Colors have a major psychological influence, and it's especially important for online stores because people can't use their other senses to get an impression of a product. People were found to have a 26 percent higher recall rate for magazine ads in colors, compared to a black and white version. Your landing pages could be dissuading consumers without you even knowing it. Potential customers only spend 90 seconds assessing a purchase. In some cases, a simple change like switching the button color on your call to action can positively influence conversion rates. It's important to choose fonts based on your offer and the overall purpose of your business. Bold colors like red and orange aren't always the right choice depending on the context of the page. It isn't just color and layout. Copy is a major determining factor in whether users take the specific action the landing page suggests. A high-converting landing page needs to present a unique value proposition, a consistent message and persuasive content, all within a very small amount of space. Poorly worded headlines and using the home page of your website as a landing page are huge mistakes that can cost you conversions. In addition, you need to avoid a disjointed feel between the ad that users clicked and the copy on the landing page. Using second person for the copy can quickly establish a more personal connection with the reader. Avoid ambiguous language whenever possible to prevent the viewer from being confused. In addition, bullet points enhance the readability of the page. Breaking it down into small points makes it easier for readers to take in all the information. Don't forget the wording on the call to action button. Although this element is often overlooked because there are many other aspects of crafting a CTA, but the chosen words play a huge role in conversion rates. Eliminate generic words whenever possible. "Subscribe" and "submit" do not do much to inspire conversions, especially if there is no other wording on the button. 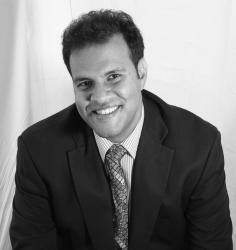 Communicating the benefit to the viewer can be more effective, such as using a phrase like, "Start my free trial." Check out our recent infographic about keeping visitors on your site for longer with landing pages. 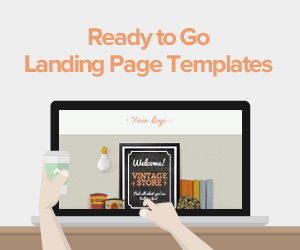 Unlike other elements of marketing, more is better with landing pages. Many marketers create new pages for each new campaign they launch. It's better to create separate pages than try to cram too much on one landing page. Many contain multiple offers, which is a surefire way to confuse prospects. It's important to avoid bogging it down with unnecessary clutter. 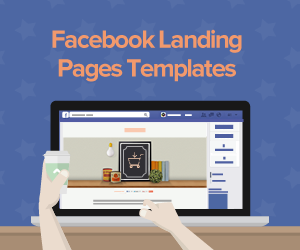 Using landing page templates can take a great deal of the hassle out of designing these pages so you can create flawless campaigns every time. What other tips do you use for conversion rate optimization?